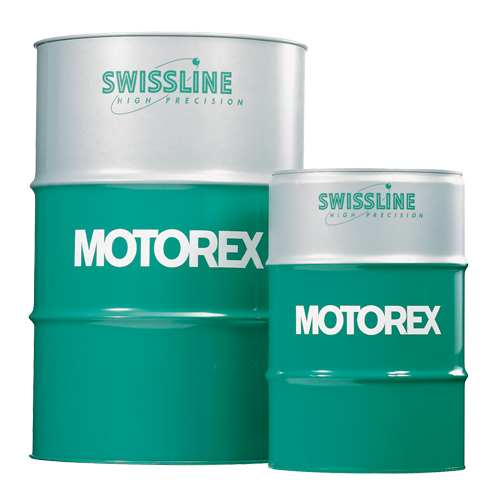 MOTOREX SwissCool 8000 is a universal high performance, water-miscible, mineral oil containing cutting fluid. SwissCool 7722 is a high-performance cutting fluid of the latest generation. Superb cooling and lubrication action, as well as above-average wetting guarantee optimal production during grinding and cutting. SwissCool 7755 Aero is a high performance metalworking fluids which has been developed according to the latest knowledge of production technologies. SwissCool MAGNUM UX 750 is a universal, water-miscible, mineral oil containing cutting fluid. Free from chlorine, boron and formaldehyde. SwissCool MAGNUM UX 550 is a universally applicable, water-miscible, mineral oil containing cutting fluid. Free from chlorine, boron and formaldehyde. SwissCool Magnum UX 250 is a universally applicable, mineral-oil containing, water miscible cutting fluid.